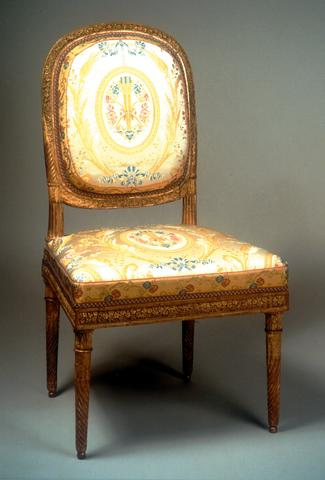 The New York Times recently published a set of very useful guidelines from David H. Wilson, a furniture restorer who also consults for Christie’s. Mr Wilson outlines tell-tale signs that an antique might not be the same period or quality that the dealer claims, which can significantly affect value. The piece was published in conjunction with the recent coverage of the Hobbs antiques debâcle. 1) Razor sharp edges, clean joints and new looking wood are suspect: a period piece should look it’s age and the wood should be appropriately shrunken. 2) If an antiques dealer is trying to sell you an authentic Louis XV commode with marks from a circular saw, you should run the other way. Circular saws were invented after the Industrial Revolution. 3) The grain and color of the wood should be consistent and easily discernible, if the colors do not match up, appear muddy or tampered with, the dealer is probably trying to hide something. 5) Veneers made before 1850 were cut by hand and generally at least 1/16 ” thick, so very thin veneers are suspect and indicate that they were most likely added at a later date, lowering the piece’s value. 6) Beware of reproductions lurking within pairs since they are more valuable than single pieces. Make sure that wood, color, joints, and other important indicators all match up. 7) Wear and tear should be visible in places that make sense, such as the bottom of a chair leg rather than the top. Oftentimes, fabricators of fake antiques will incorporate reused wood to achieve an antique look that, if examined very closely, can be detected but to the naked eye passes easily as the real thing. 8) High-quality antiques are a significant investment, so always consult an expert if you have any doubts about a potential acquisition. Even the most seasoned dealers have been known to make mistakes so it is crucial to seek out a reputable and well-established opinion. A member of the Art and Antique Dealers Association of America is a good place to start. If you have a question about identifying an antique try www. allexperts.com look under the collectables and then antiques. there are several experts that give there advice for free if you send a photo. I give advice on this site, read my responses to the questions if you want to know more. Next: Brad Pitt: Architecture & Design Buff?